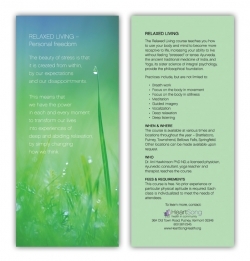 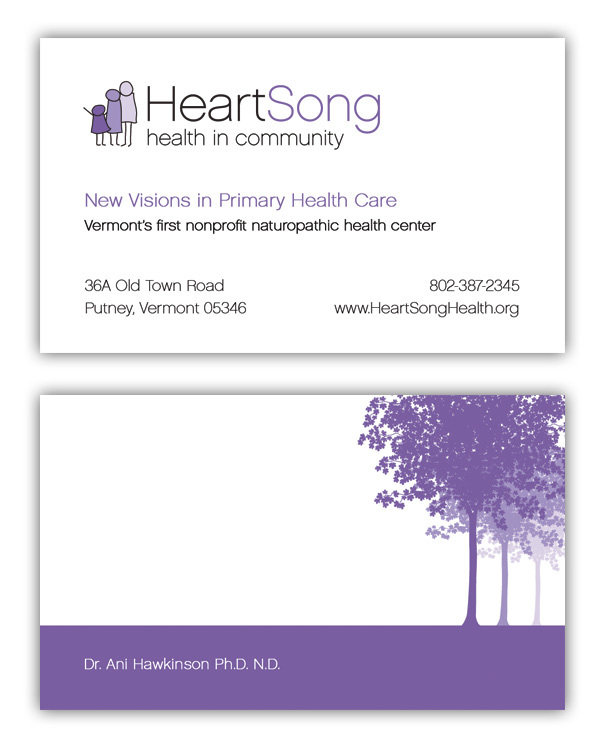 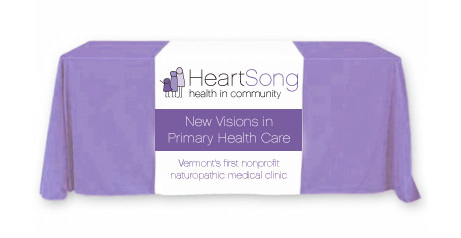 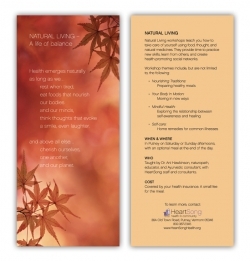 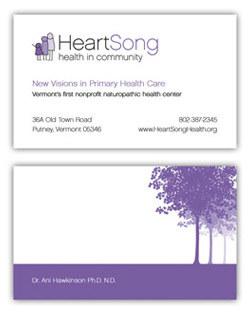 Based in Putney, Vermont, HeartSong Health in Community, Inc., a nonprofit organization, offers a full range of primary integral naturopathic medical services and health education in intimate and peaceful surroundings. 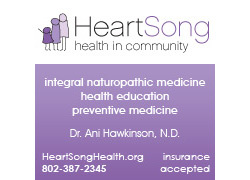 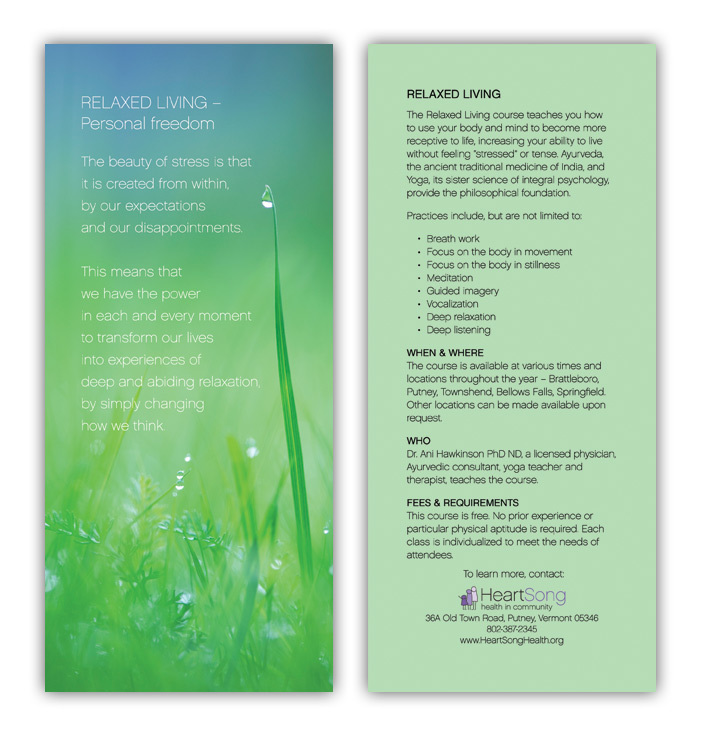 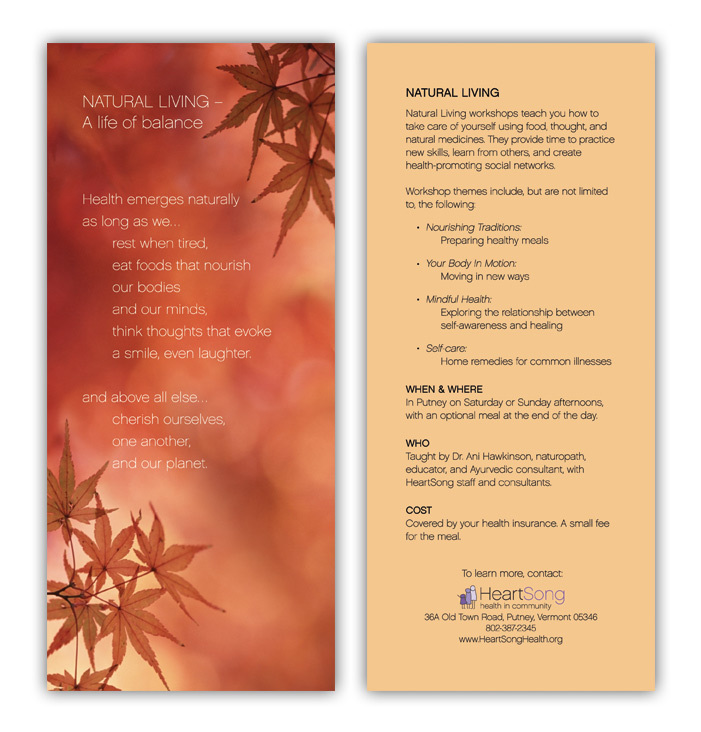 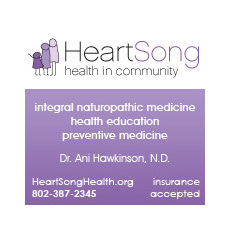 Dr. Ani Hawkinson leads the practice with a vision of helping create self-sustaining, inclusive communities where all members enjoy perfect integral health – a dynamic state of physiological, psychological and spiritual resilience that empowers people to adapt and grow, to heal themselves and others, to protect the environment, and to achieve their highest potential. 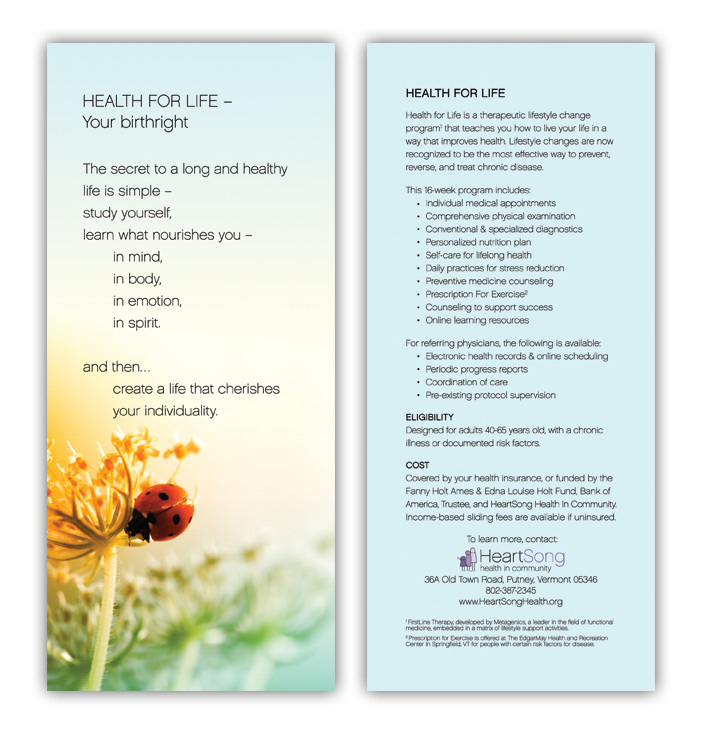 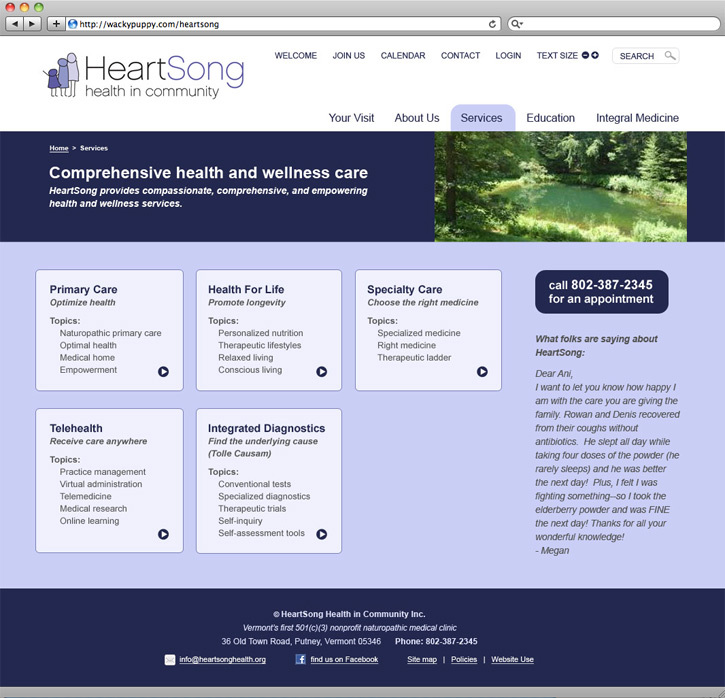 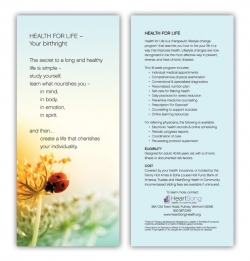 WackyPuppy has developed the corporate identity for HeartSong, including logo, banners, brochures, a temporary website, and is currently developing a custom database-driven website in Joomla to expand services and information from the clinic onto the web.